The story so far… I’ve brought my 1997 Gibson Les Paul Classic Goldtop out of retirement and have started to upgrade it so that I can use it live with the Phazyluckers. First off, I replaced the existing Klusons with Gotoh Magnum Lock tuners. I’m very happy with these – super stable tuning and an upgrade that certainly makes the guitar a serious proposition for gigs. Secondly, in the first Pimping my ride article, I started playing around with changing pickup rings and knobs to give the guitar a meaner “rock machine” look. Which brings us to this article, the installation of active EMG pickups. Because I like them. No, they are not very dynamic. Yes, they can be sterile (though whether this is really true depends a lot on amp EQ and playing technique). But they are just great for high gain – authoritative, balanced, good string definition, no mush – and sound perfect in the right context. So, after some indecisive days wondering whether or not to go to the hassle (and expense) of this conversion, I finally decided to install an EMG Zakk Wylde set comprising an EMG 81 pickup for bridge, an EMG 85 for the neck, and wiring kit of long-shaft pots (essential for real Les Paul’s) and solderless connectors. These solderless connectors are great and make for an easy job for those of us not very adept with a soldering iron. If only passive pickup manufacturers would do something similar! An important point for those considering doing the same modification: get the Zakk Wylde kit. It’s no more expensive than buying the EMG 81/85 combo individually and – more importantly – it comes with the long-shaft pots needed for a Gibson Les Paul. If you just buy the EMG’s separately you will have to fork out for the long-shaft pot kit on top, as EMGs are normally supplied with short-shaft pots, which are no good at all for this application. Final point before we get on with this walk-through: assuming you are replacing passive pickups you cannot use your existing pots and wiring with the EMGs, you must use the one’s supplied by EMG. This is because they are much lower resistance (25k) compared to the usual 300k to 500k pots used in this type of guitar. De-solder the bridge ground wire. De-solder it only, DO NOT try to remove this wire from the guitar. Although it is not needed for the EMG’s, you will need it if you ever swap back to passive pickups. De-solder the toggle switch wires. Before doing so, it is worth noting which toggle switch wire goes where so that you know how to re-connect these to the EMG wiring. Wiring up the switch to the EMG “patchbay” was the one area where I had a few problems – mainly because I don’t (or rather, didn’t) know how these switches are wired up. Take photos of your existing wiring before you do anything or, better still, sketch out a wiring diagram so that you have a record of what goes where. Here’s my pictorial walk-through of the replacement of the existing passive pickups with EMG active pickups (81 in the bridge and 85 in the neck). Please excuse the quality of some of the photos, all of which were taken with an iPhone in varying lighting conditions and the iPhone camera is pretty rubbish in low / artificial light. Fit the new EMG pickups to their mounting rings and run the EMG pickup connector wire from the mounting cavity to the pots cavity. Tape the pickup rings in place as, once the wiring is finished, any excess pikcup wire should be coiled up in the pickup cavity and it’s a pain unscrewing/screwing the pickup mounting ring screws. Fit the new EMG pots, paying particular attention to identifying which ones are for volume and which are for tone (tip: the volume posts have six connectors, the tones have 4). The EMG pots come with two nuts and two thin washers. I used the washer on the topside and then placed the pointer and retaining nut on top of this. No doubt at the Gibson factory they have a special tool for holding the pointer in position as the retaining nut is tightened. However, I don’t have such a tool and found it was easy for the pointer to rotate as the nut is tightened, resulting in scratches to the guitar finish. Hence the use of the washer between the guitar body and the pointer. When fitting the pots pay attention to the position of the nut which is placed on the shaft within the pots cavity. This nut determines how much of the pot shaft protrudes through the top of the guitar and, thanks to the Les Paul having a carved top, you will need to experiment a little to ensure that the position of this nut is correct. When making these adjustments, the idea is to have the top of the pot shaft positioned so that the knob will fit fully on the top and neither hits the body (which means the pot shaft isn’t protruding enough), nor is there a large gap between the skirt of the knob and the pointer (which means that the pot shaft is protruding too much). Tip: Tighten the pots before you do any wiring up. Once the pots are in position, tighten up the top retaining nuts. I found that firm hand-tight is plenty tight enough. Fit the new EMG-supplied jack socket and tighten up it’s retaining nut. Don’t go mad here – the jack socket plate is only plastic. Use a length of shrinkwrap or other non-conducting material on the bridge earth wire and tuck the wire out of the way somewhere in the pots cavity. Fit the EMG patchbay and connect the two red pickup wires to it. Fit the jock socket wires and battery clip to the patchbay. Slightly tricky bit now: wire up the switch connectors. On my guitar, black = output, green = ground, red = bridge, white = neck. Yours may be different. Also, although the cable sleeve was earthed to one of the volume pots in the original wiring, I found that this sleeve should not be connected to the EMG patchbay. I just popped a small piece of shrinkwrap over it to stop it shorting out on anything. Plug the guitar into an amp and tap the face of the pickups with a screwdriver and check that a sound is produced in accordance with the position of the pickup toggle switch. If you get no sound – or a high-pitched whine – you’ve screwed up the wiring somewhere, most likely the wiring of the toggle switch wires to the EMG patchbay. Fig 1: Strings removed and ready to begin work. Note masking tape over bridge and tailpiece posts to keep them in position during the work to come. Fig 2: Original wiring. Bridge Volume pot is bottom left, Neck Tone is top right. Note the bridge earth wire soldered to the Neck Tone pot. Fig 3: Original wiring. Close-up of the switch cable (black 4-core cable coming from the pickup/switch routing hole). Fig 4: Original wiring. Close-up of Neck Volume pot showing the switch cable sleeve earthed to the Volume pot casing. Note: I did not need to connect this sleeve when installing the EMG’s. Fig 5: Remove knobs and note position of pointers (if fitted and if you intend to keep them). Fig 6: Having de-soldered the various connections mentioned above, time to remove the retaining nuts and pointers for all 4 pots. Fig 7: Mounting plate removed from the guitar. This plat is not needed when installing the EMG’s, so I will keep it for future, just in case I swap back to passives one day. Note the additional retaining nut on two of the pots acting as spacers to ensure that the pot shaft protrudes the correct amount. Fig 9: Empty wiring cavity ready for EMG installation. The bridge earth wire is clearly visible at the top of the picture and will be covered in shrinkwrap and tucked out of the way when the new wiring is installed. (Bridge earth wire is not needed when installing EMGs). The switch cable (black 4-core) is protruding from the pickup wiring routing. The sheathed pickup wire visible (on left) is from the old pickup which hasn’t yet been removed from the guitar when this photo was taken. 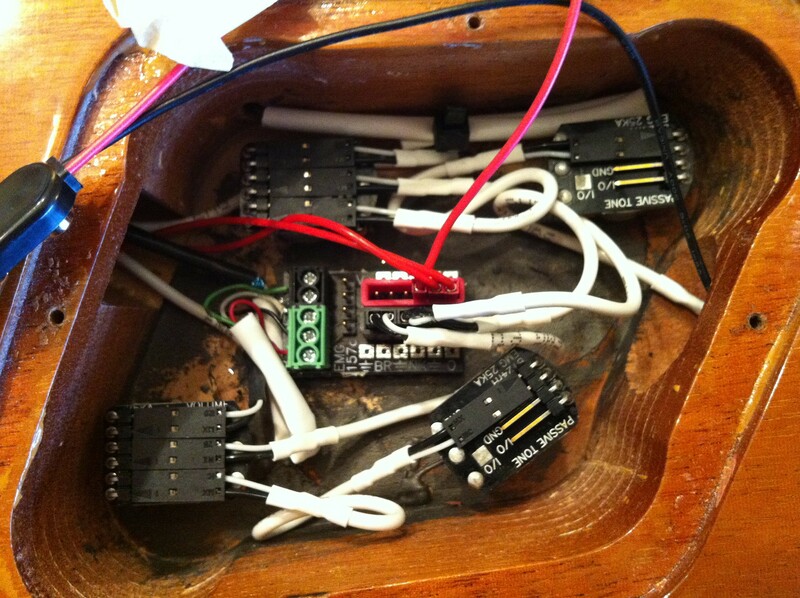 Fig 10: Henry cleans out the sawdust and other debris from the empty wiring cavity. Fig 11: Top of the guitar ready for installation of EMG pots. Fig 12: Pickup mounting rings and old pickups removed. Fig 13: EMG 81 fitted to mounting ring and installed in guitar. Fig 14: Old jack socket removed ready for installation of the stereo socket supplied in the EMG kit. You must use the one supplied by EMG as this also switches on/off the battery from the circuit. Fig 15: New jack socket is installed ready for connection to the rest of the wiring. Fig 16: Close-up of the wiring cavity (hole for Neck Tone pot in centre, hole for Bridge Tone at bottom right), showing the bridge earth wire before being covered in shrinkwrap, and the wires coming from the new jack socket. Fig 17: Close-up showing the installation of some shrinkwrap to the bridge earth wire to ensure it is insulated and doesn’t cause any shorts. Do NOT remove this wire – you will need it if you ever switch back to using passive pickups. Fig 18: Both EMG pickups fitted to their mounting rings and loosely taped in place until the wiring is completed. The reason for just taping them at this stage is that, once the wiring is completed, any excess pickup connector cable can be coiled up in the pickup cavity. Storing the excess here, rather than in the wiring cavity itself, is recommended by EMG in their installation instructions. Fig 19: The EMG Zakk Wylde set comes with EMG 81/85 pickup combo plus 4 pots and EMG’s solderless connectors. The main advantage of buying the kit, rather than buying the pickups individually, is that the ZW kit is supplied with long shaft pots which are needed for Le Paul guitars. There is no appreciable price difference either – which is cool! Fig 20: New EMG pots installed and tightened into position. For some reason, I decided to use the original knob pointers. However, I found it best to use a washer between the guitar body and the pointer to stop scratches to the finish when tightening the pot retaining nuts as the pointers tend to rotate when tightening the nuts. Fig 20: Installation of the EMG is almost complete. Jack socket is on right of picture, pickup and toggle switch wires enter from the left. Connecting up the kit and installing the patchbay (that’s the block in the centre of the photo with green and black screw connectors) was very straightforward, thanks to ESP’s easy to read wiring diagram. The only issue I had was to correctly identify the 4 wires which come from the toggle switch. That’s why it is a very good idea to take photos of the original wiring, or make a wiring sketch, before you dismantle the original wiring. Fig 22: EMG 81 and 85 pickups now installed and mounting ring screws re-fitted. The knobs are also fitted. 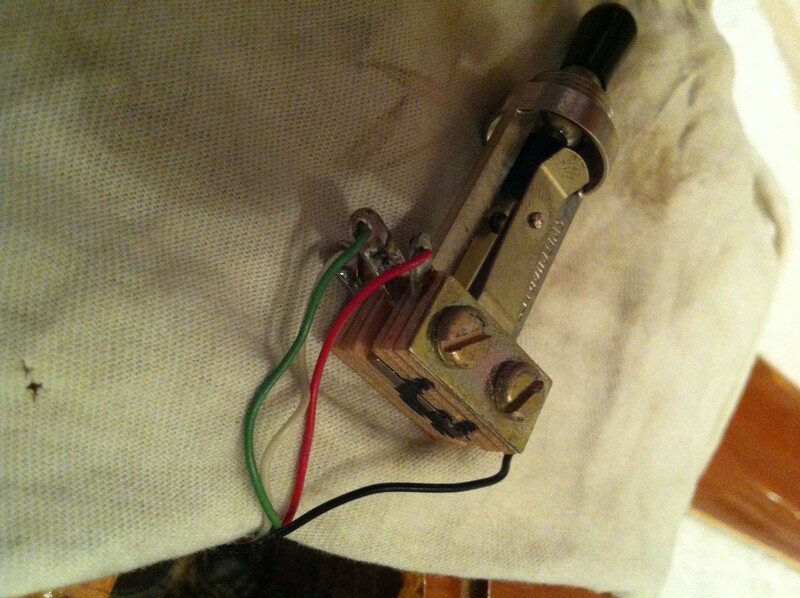 Fig 23: This shows the toggle switch removed from the guitar. Here, the wiring is as follows: black = output, green = ground, red = bridge, white = neck. Pay attention when connecting these wires to the EMG patchbay in the wiring cavity. The only issue I had during the entire process of installing these pickups was due to me mixing up the ground and output wires from the switch. Fig 24: Job done ready for action! Guitar sounds great! Loads of output (of course) and this guitar is now much more hard rock than classic rock/blues. I must say that for someone like me who is pretty useless with a soldering iron, the EMG solderless system is fantastic. The instructions are easy to follow, quality of components appears to be good, and it really was quite an easy job to do. I estimate that the whole thing took a couple of hours in total, and I would be more than happy to do the same work on another guitar. Hey upgrading a custom Breedlove electric. Where did you get your mounting rings? Having a difficult time figuring out where to get them and what will fit? Looks awesome by the way! The mounting rings are standard Gibson parts, though from memory the LP Classic uses Historic style rings which are quite low profile compared to LP Standards.